Two-time PBL semi-finalists, the Sahara Adventure Sports Ltd (Mr. Abhijeet Sarkar) owned Awadhe Warriors will look to secure their maiden title. The franchise has made some interesting buys in the auction and it will be intriguing to watch the Warriors play, especially with their lineup boasting of some of the stalwarts of the game. Son Wan Ho (Icon): Plying his trade with three different franchises in the first three editions, South Korean shuttler Son Wan Ho will be shouldering the Awadhe Warriors mantle in PBL 4. A dynamic singles player, with an impeccable defensive game, the World No 6 boasts of an illustrious career that include a World Championship bronze and a gold & silver at Asiad among other accolades. With a wealth of experience under his belt, the South Korean will be a guiding force in leading the Warriors towards the maiden PBL crown. Lee Dong Keun (MS): 2014 Asiad Gold winner, Lee Dong Keun is the only other South Korean in the Awadhe Warriors lineup. The PBL debutant, who won the US Open earlier in the year has looked in sublime form and it will be an intriguing contest to watch the South Korean adding to the Warriors firepower. 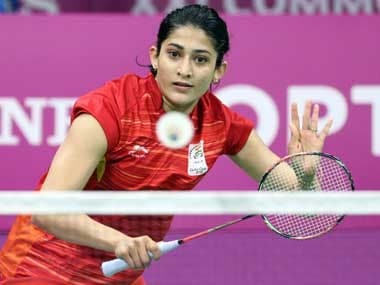 Guru Sai Dutt (MS): Reputed Indian singles shuttler Guru Sai Dutt is a smart addition by the Warriors in their squad. A veteran in PBL, Guru Say Dutt is familiar to the challenges of the league and will be bringing in a lot of confidence, giving the team a morale boost. 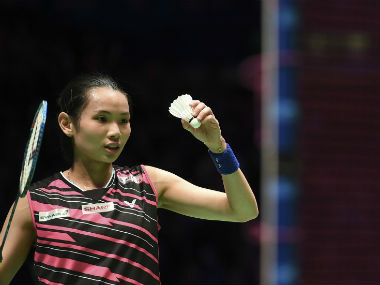 Beiwen Zhang (WS): Winning her first ever BWF World Tour title at the India Open earlier in the year, it will be a sweet homecoming for the steep rising Chinese shuttler. Heralded for her impressive strokeplay, the World No 12 will be keen to exhibit similar performances when she takes the court for the Awadhe Warriors in the upcoming 4th edition of PBL. Ashwini Ponnappa (XD): The stylish and elegant Ashwini Ponnappa was secured by the Warriors for a hefty amount of 32 lakhs in the PBL4 auctions and will be one of the leading faces in their doubles department. Two-times CWG gold medalist, Ponnappa’s impeccable feats are a testament of her class, and she is all ready to once again unleash her skills with a new season in the offing. Mathias Christiansen (MD/XD): A highly reputed doubles player, the Warriors have a utility player in Mathias Christiansen. Adept in playing both MD and XD, the Danish is a clinical addition making the Awadhe Warriors doubles department a lethal force to reckon against. Lee Yang (MD/XD): Making his PBL debut with Chennai Smashers last season, the Chinese Taipei shuttler will be donning the Warriors outfit in the new edition. Currently ranked 17 in the World, the Taiwanese looks in good shape to wreak some havoc when gets on the court. Sanyogita Ghorpade (XD): Representing India at the Uber Cup earlier in the year, Sanyogita Ghorpade is experienced in PBL affairs having made her debut last season with the North Eastern Warriors. Now, plying her loyalty with the Warriors, Ghorpade is prepped to contribute to the title cause. MR Arjun (MD): Rising doubles shuttler Arjun MR is a smart buy, giving the Warriors franchise a strong squad depth. Ranked 39 in the world, the youngster had shown good promise and is eyeing to replicate his fine form in the world’s richest badminton league, leaving behind a lasting impression. Rasika Raje (WS): Associated with the Hyderabad Hunters last season, Rasika Raje is a student at the Pullela Gopichand Academy and is one of the upcoming young faces in the circuit.